Who should attend the ISJL Education Conference? Any soon-to-be or current religious school teacher, including those who have attended past ISJL conferences. Rabbis, congregation presidents, teaching aides, parents and other supporters of the religious school are also encouraged to attend. To implement a user friendly curriculum and then refine it as we impart a common body of Jewish knowledge to our children. To create a common sense solution and apply the collective energy of top Jewish educators to build a strong, consistent curriculum that can be overseen and guided in an area with few Jewish professionals. 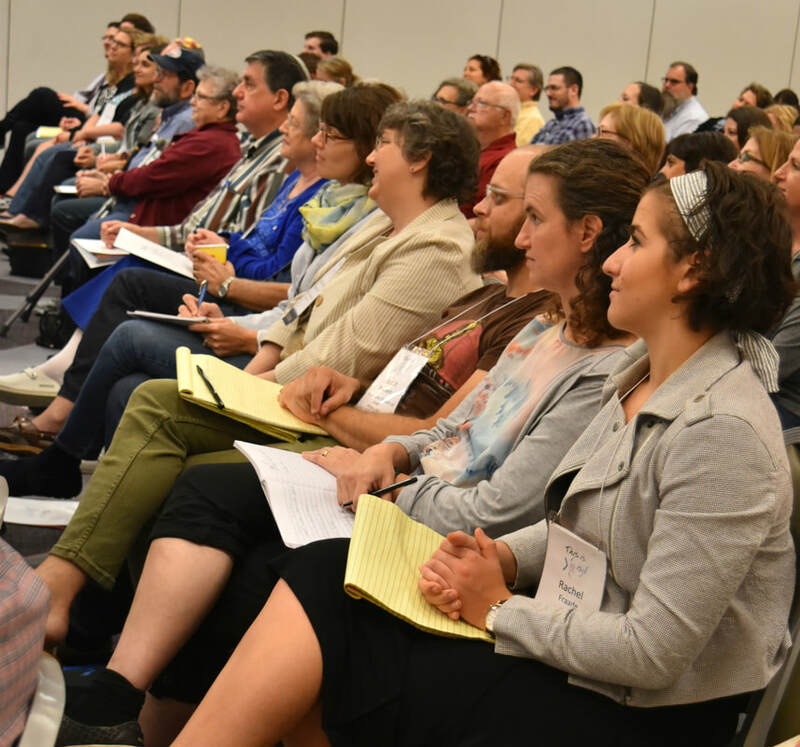 We want conference attendees to leave the conference with the revised curriculum and new resource materials, a wealth of ideas for enhancing their classroom, and tips on strengthening their teaching skills; to raise Jewish literacy and education opportunities by pooling resources in the region. We want our children to have an outstanding Jewish education. We almost always hold the conference toward the end of June, starting on Sunday and ending on Tuesday. This year's conference will be June 23-25, 2019. We hold everything for the ISJL Education Conference at the Hilton Jackson Mississippi Hotel. The address for the hotel is 1001 East County Line Road, Jackson, Mississippi 39211. What time does it officially start and end? We open registration at 10:00a on Sunday, June 23. Our final session closes the ISJL Education Conference at 12:00pm on Tuesday, June 25. There is no conference fee, only the rates for room and board that the hotel sets for us. Rates for 2019 are live on the registration page now! Bring a good attitude, the curriculum you need to exchange, and casual clothing. The temperature of the conference rooms can vary, so bring layers. There is a pool, so bring appropriate attire if you wish to splash in your limited free time. When you say "bring the curriculum to exchange," do you mean the whole curriculum? NO. DO NOT BRING YOUR ENTIRE CURRICULUM SET. You should only bring the updated grades for the coming year. Can I bring a guest/family/kids? Yes. If you wish to have your family join you for meals, there is an additional cost per person per meal.